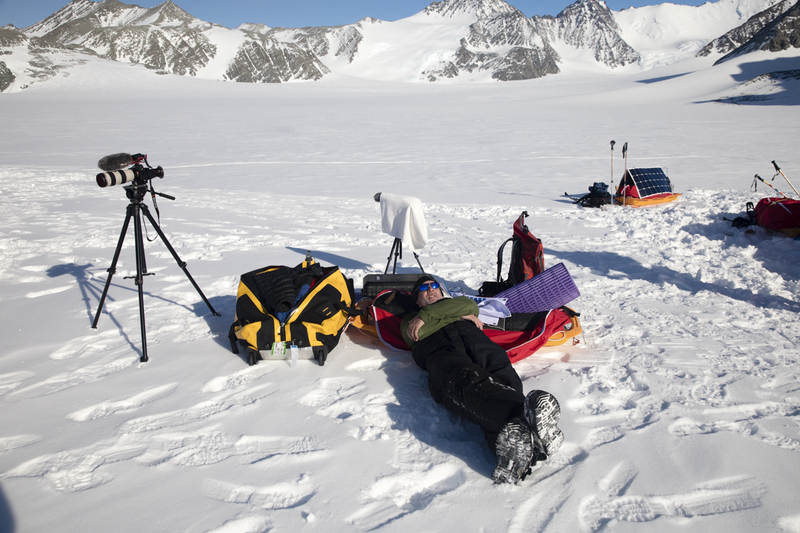 The photo below features Mark Leisher at the Union Glacier basecamp, Antarctica. You might wonder why a video production company would travel to one of the coldest and most lifeless regions in the world. The simple answer? 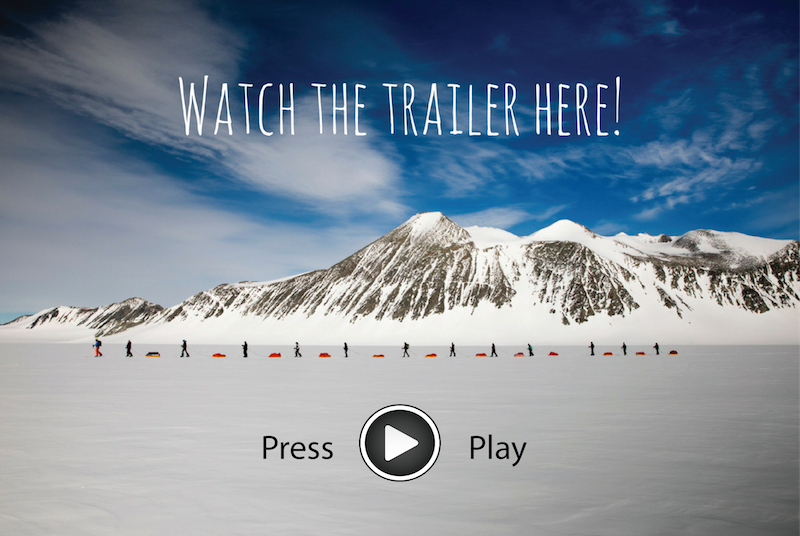 To help protect Antarctica and to film the unsung heroes who have made this goal their life mission. Polar explorer and environmentalist, Robert Swan has seen first-hand the damage that has been done to the North and South Pole. He has been a keynote speaker for many environmental conferences and lectures around the world. To learn more about Rob Swan and how his mission became his life goal, watch his Ted Talk here. Rob’s 2041 company was started to protect Antarctica and to educate people on the effects of climate change. The year 2041 marks the end of the International Antarctic Treaty, which establishes the continent as a zone that prohibits exploitation, such as oil drilling. Last February, Mark became involved in Rob’s mission when Calvert Investments asked that he film an interview with the activist. This interview would lead Mark to the South Pole five weeks later, in early March of 2016. Mark met the 2041 team in Ushuaia, Argentina, then they sailed to over the rough waters of the Drake, and landed on the western Antarctic Peninsula. Along with other videographers, Mark captured on film the activities and discussions of the 2041 Climate Force team. When the trip came to an end, Mark returned home with tons of beautiful footage and photographs, marking the 2041 journey as a success. After seeing this amazing footage, Calvert Investments asked for more. 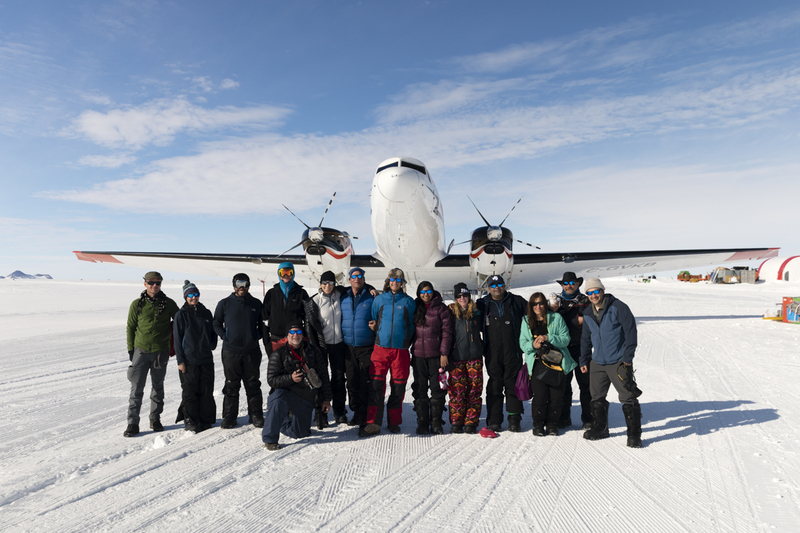 After completing the 2041 journey, Rob gathered a new team, called IAE 80 South, to perform research in Antarctica. 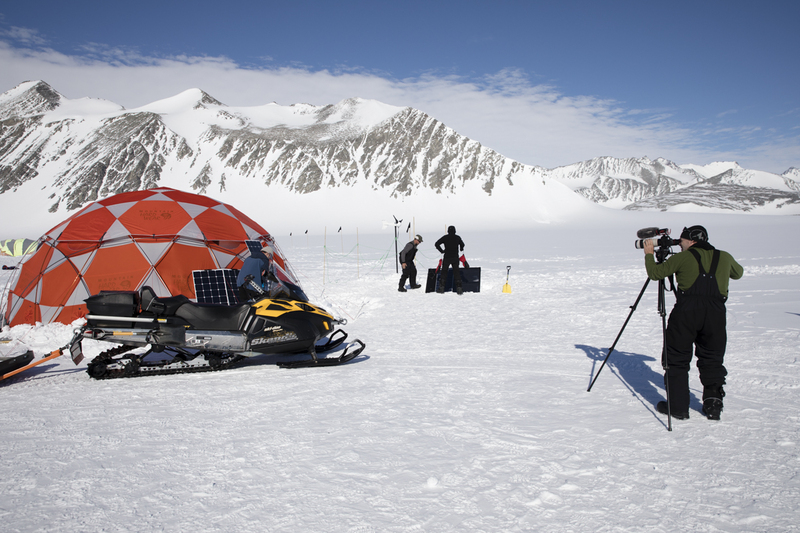 This time, the team would fly inland to Union Glacier, where there is little shelter from the elements. 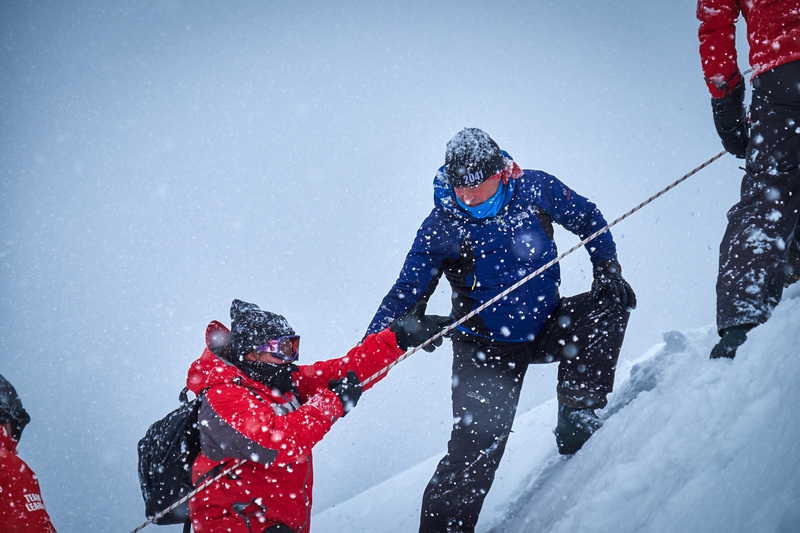 Calvert Investments had Mark return in December to film the expedition of the 80 South team. Once there, Mark pointed his camera lens at Rob, the team, and the beautiful landscapes on the Antarctic continent. He brought his UAV drone and Omni VR system to capture a unique perspective of this frozen land. What was the goal of the IAE 80 South expedition? The goal of this week-long expedition was for the 80 South team members to test renewable energy technologies. The twelve-member team consisted of researchers from energy companies including Shell, Siemens and NASA. 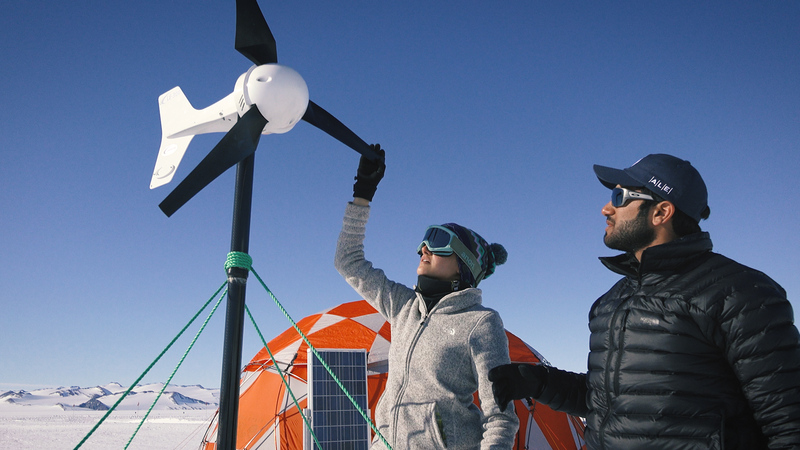 The researchers brought wind, solar, and biofuels technology to test in the world’s harshest of environments. Data from these tests are still being analyzed and will take time to complete. However, the preliminary results are proving the resilience of these technologies, which is cause for excitement. Why did the IAE 80 South team test renewable technologies? First and foremost, IAE 80 South was a test for Rob’s upcoming South Pole Energy Challenge 2017/2018 expedition. Rob, his son Barney, and two other explorers will embark on this third trip, also known as SPEC. The group of four will trek 600 miles from Union Glacier to the South Pole. In order to survive this journey, Rob and his team will rely only on the renewable technologies that were tested on the IAE 80 South expedition. The SPEC expedition will take two full months to complete, and it would be dangerous even if Rob were to use fossil fuels to survive. As a result, the success of this journey will prove the resilience of these technologies. Due to its inspiring nature, the SPEC expedition will likely call attention to Rob’s mission of protecting Antarctica. Alongside that, it will act as a call-to-action on the issue of a warming climate. The two Antarctica expeditions were incredible opportunities for Mark to capture on film something that humans rarely get to see. Although exhausting, these journeys will hopefully bring the inspiration and motivation to better protect our environment. Stay updated with this mission by following our blog, and visiting the 2041 website! Once clip starts to play… use your mouse to move around clip to see the 360 views! Very impressive! Science and forward thinking technologies must lead the way,but do so in an environmentally sensitive path – and by educating to save these amazing ecosystems and their wildlife. Thank you Ilissa! Love your thought on this, which is certainly one of the goals of this mission.